This is one for the books. 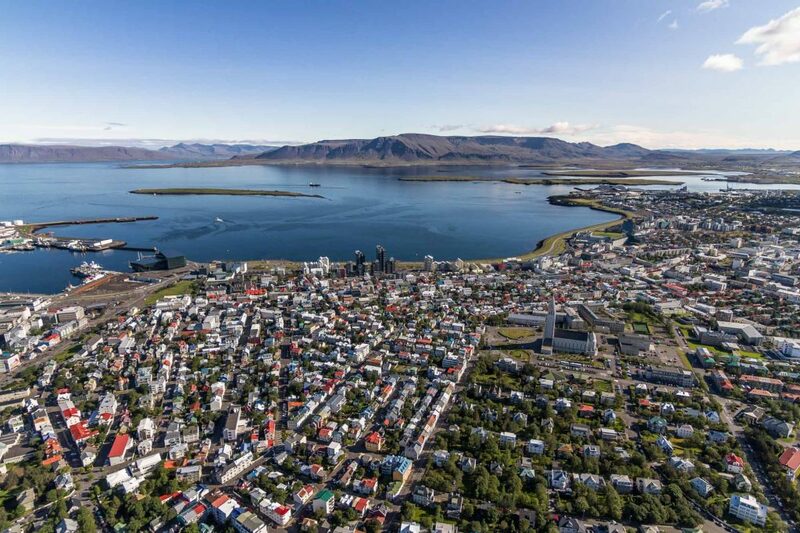 Reykjavík is already such a beautiful city but seeing it from above will give you a whole new perspective. On the the Heli Happy hour tour, your will get to experience first hand how close the city is to glaciers, lava fields and all the things Iceland is so famous for. 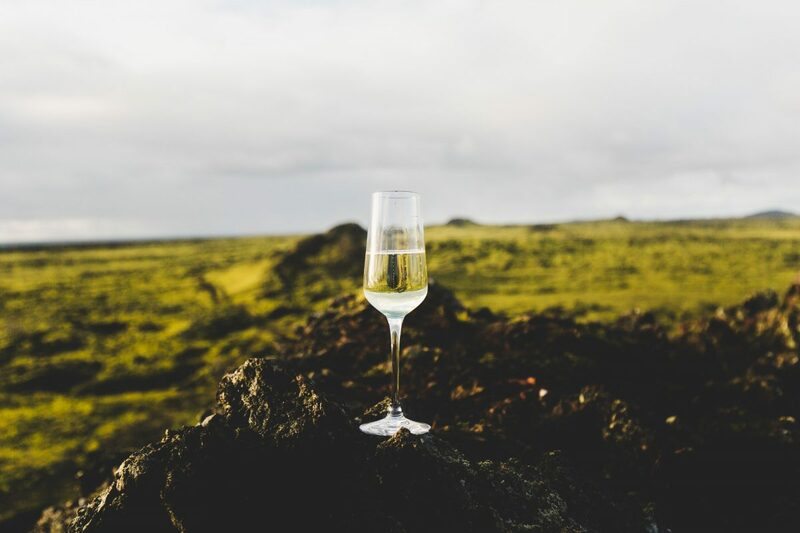 The tour will not only bring you stunning views over Reykjavík but also a chance to toast in the most beautiful setting. 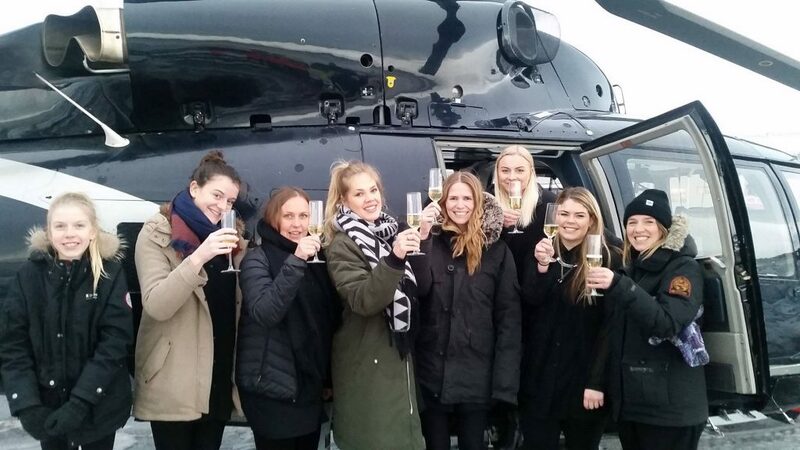 The Heli-Happy Hour is truly a glittering jewel of an Iceland helicopter tour – the most mind-blowingly spectacular hour of aerial sightseeing you will ever experience. Stand on the top of a mountain and celebrate this unique moment with a glass of sparkling wine. 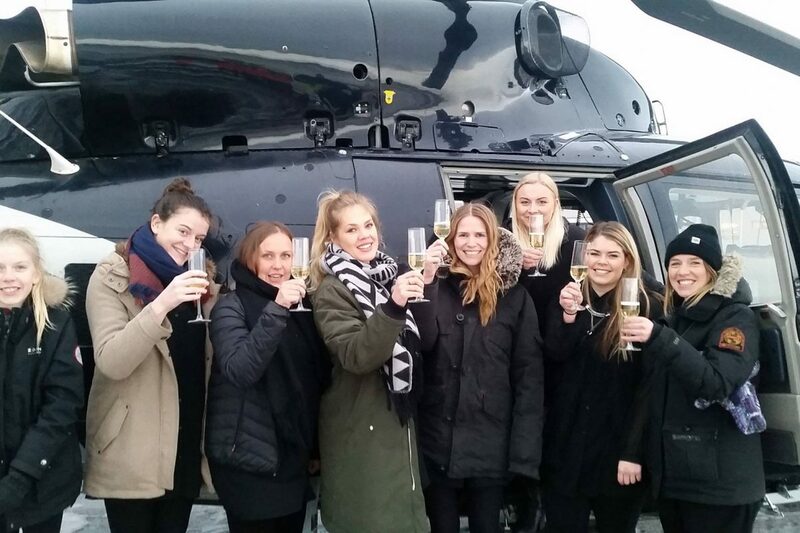 This amazing helicopter tour in Iceland is your chance to do something really special. You will get the photo opportunities of a lifetime! 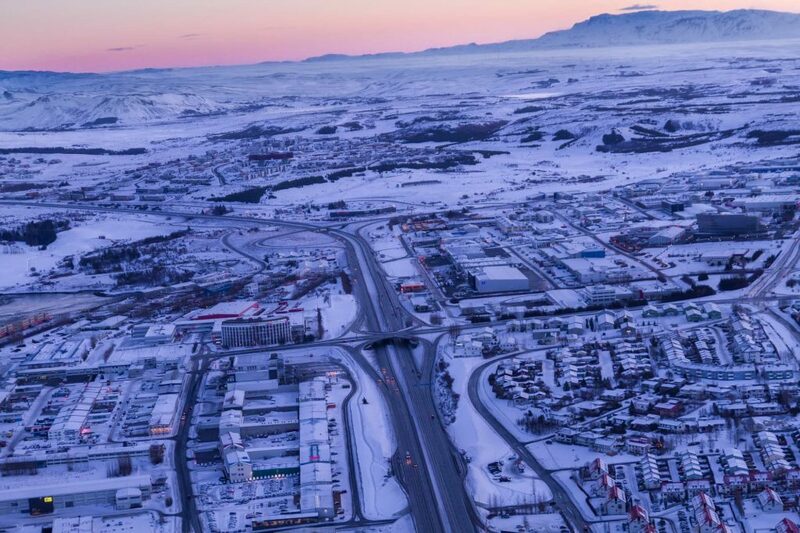 On the way to a nearby mountain peak you will see outstandingly magnificent views of Reykjavík as you fly over the city. The charming and multi-colored dollhouse-sized rooftops of villages and towns, both far and near, will enchant you. Seascape, countryside, lava fields, Reykjavík city and mountain peaks – vista after vista will magically open out before you. See the ethereal clouds of steam emanating from distant hot springs drifting across the land. It will be so easy to see why the Viking settlers who came here chose the name Reykjavík, meaning ‘smoky bay’. This perfectly describes the sight which met those intrepid adventurers as they approached their new homeland. Landing on the top of a pristine Icelandic mountain will reveal to you totally unique and heart-stopping views over the whole area. We will pop the cork on a bottle of sparkling wine and raise a glass to honor this precious moment. 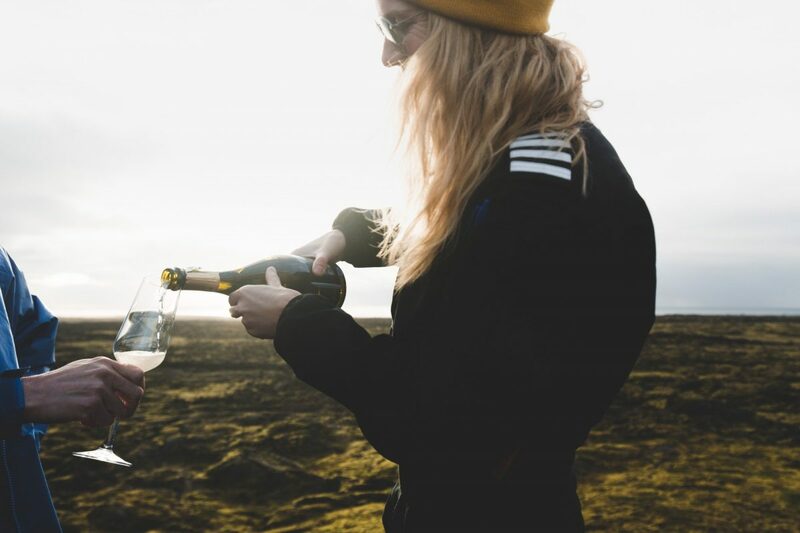 Celebrate and enjoy the panoramic views of distant mountains, Reykjavík and the glittering rich blue ocean which stretch out before you. Of course, you do not have to walk down the mountain! 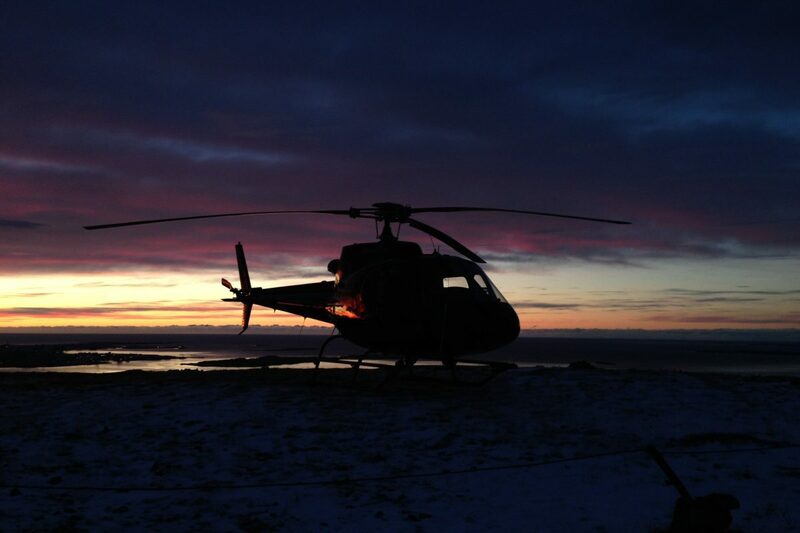 Our helicopter will deliver you back safely from whence you came – but first more magnificent scenery to enjoy – this time from a different vantage point as we head towards the city. The total duration of this tour is around 50 minutes. 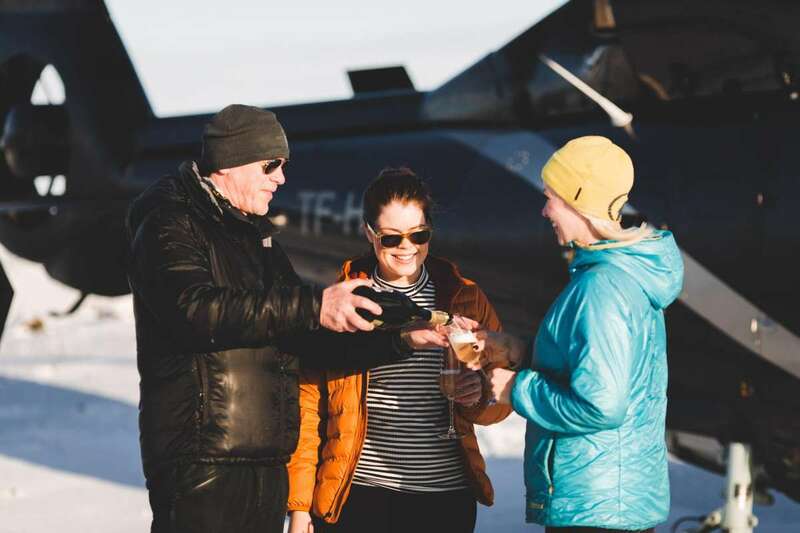 A 15-20 minute helicopter flight and a 20 to 30 minute landing on the mountain top. 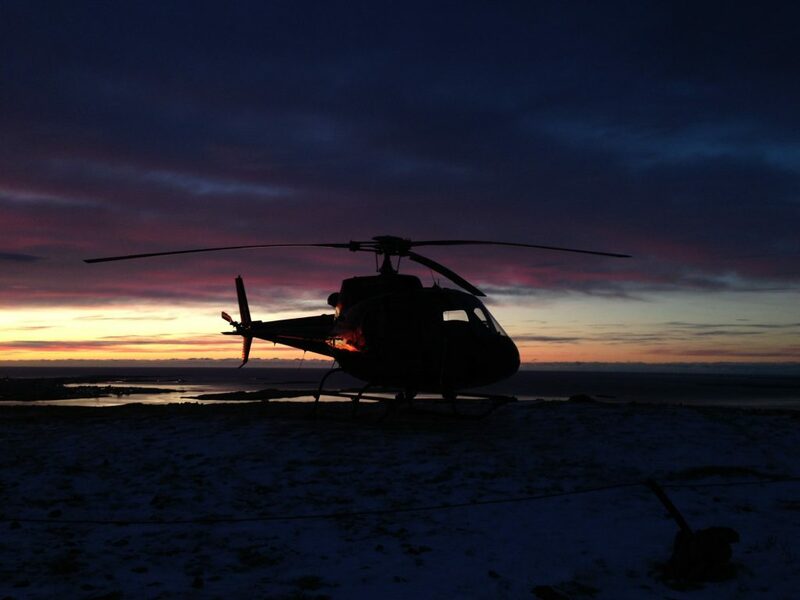 The timing depends a little on the helicopter type and weather conditions. 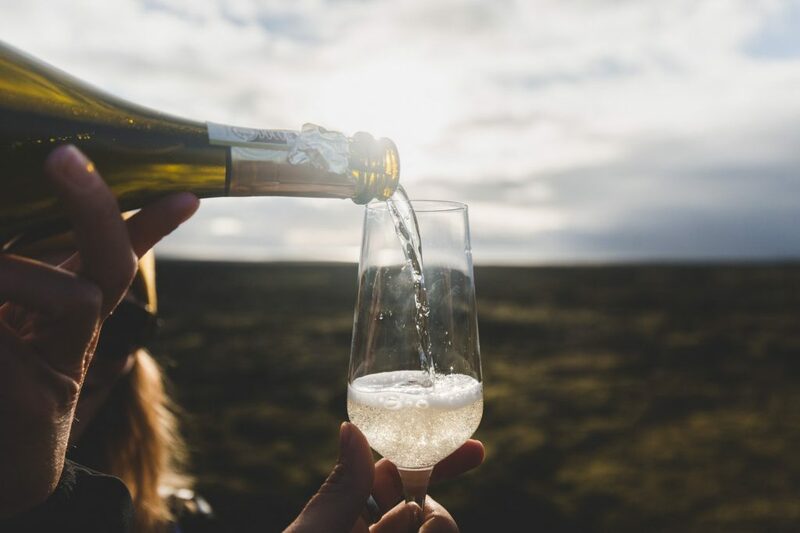 Your tour includes a bottle of sparkling wine.